Head to head, Djokovic holds a better record than Nadal, having won 27 clashes out of 52 matches the two have had played against so far each other in their career. 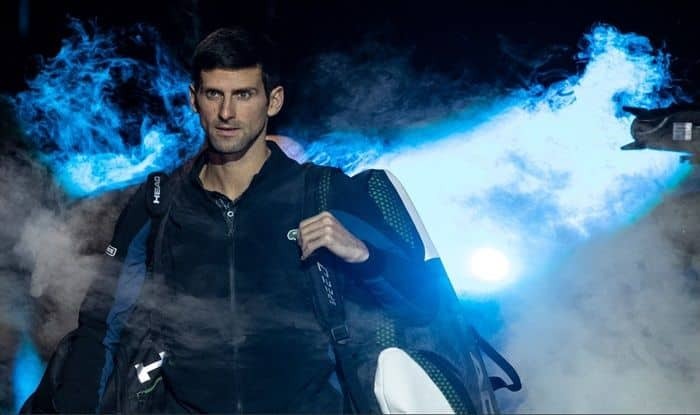 World number one Novak Djokovic will be up against Spanish tennis ace Rafael Nadal in the title clash of the Australian Open and the former has assured that they both are going to give “absolutely everything on the court.” “I’m sure we’re going to have a blast on the court. We can promise one thing, and that’s knowing both of us that we’re going to give absolutely everything out on the court,” ATP quoted Djokovic, as saying. The 31-year-old praised Nadal for playing impressive tennis on the court and added that he himself has been pretty good in the tournament which makes it an interesting final. “(Rafa) has played impressively well throughout the entire tournament. He hasn’t dropped a set. He looked as good as ever on the hard court throughout these few weeks. I haven’t played bad myself last couple matches. I think that this final comes at the right time for both of us,” Djokovic said. Talking about his semi-final clash against Lucas Pouille of France, the six-time Australian Open Champion said that it was a “perfect match” for him as he executed everything that was intended. “Obviously today was a perfect match for me from the first to the last point. I executed everything that I intended to and even more than I have expected,” he said. On Friday, Djokovic continued his quest for a record seventh Australian Open crown by swatting aside French 28th seed Lucas Pouille 6-0, 6-2, 6-2 to reach final. Nadal and Djokovic will cross swords for the Australian Open title on January 27.